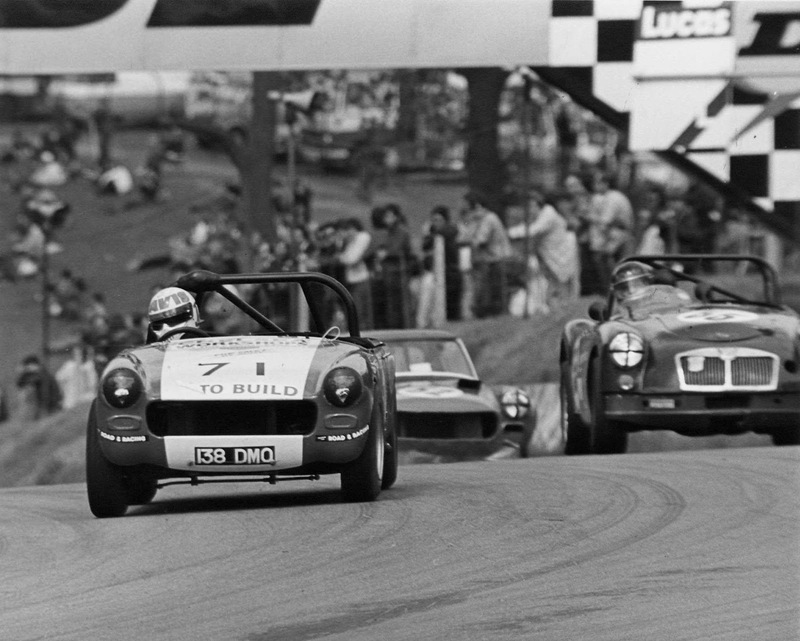 HISTORIC RACING DRIVERS CLUB HEADS TO SPA SUMMER CLASSIC! In addition to its successful start to the 2012 U.K race calendar, the HRDC will be staging a 61-minute race, augmented by a 30-minute qualification session, on the evocative Ardennes GP circuit of Spa, Francorchamps at the Spa Summer Classic over the 15/16 June. 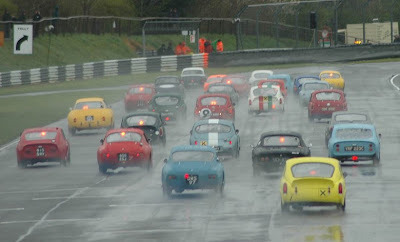 · HRDC ‘GRAND TOURING GREATS’ for sub-1500cc pre’66 historic GT cars. 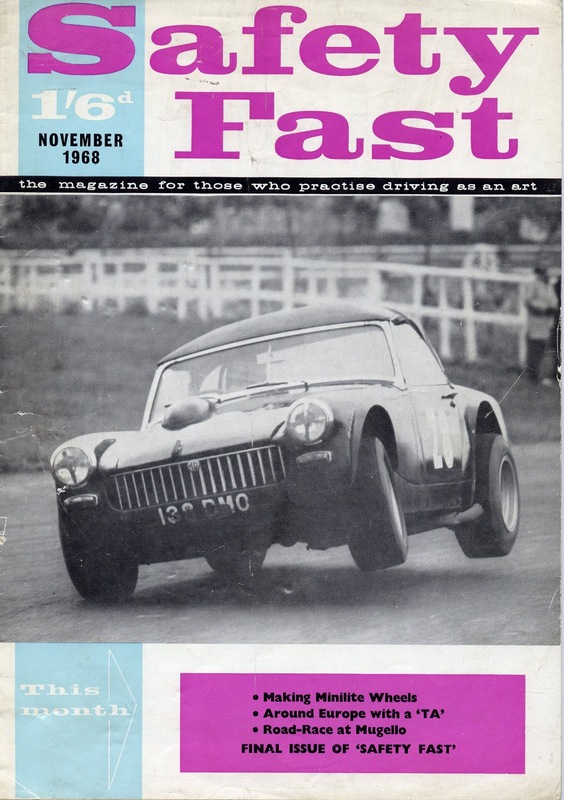 · HRDC ‘TOURING GREATS’ for pre-’60 historic touring cars. · HRDC ‘TC63’ for pre-’64 early Gp.2-type historic touring cars. · HRDC ‘GTS65’ for over-1500cc, pre-’66 historic GT cars. 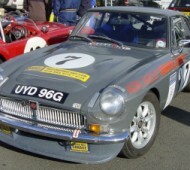 · HRDC ‘MGB50’ for historic FIA-type MGB cars. Interest has been strong for this race and HRDC Race Director, Julius Thurgood, reports “The quality of the entries received so far have been outstanding. The perception of the HRDC coming to Spa for the first time seems to have caught the imagination - not only of our U.K competitors - but of several of the top European teams, which we are delighted to welcome to our race at this impressive event”. The mainstay attraction of the HRDC is the diversity of marques and models on track, the high standards of driver discipline and the unrivalled camaraderie in the Paddock. An added factor to the enjoyment of this race is that the HRDC has negotiated the much welcomed convenience of its own designated paddock at Spa, complete with Grandstand and Camping facilities, plus the added bonus of direct access to all the major routes in and out of the circuit. 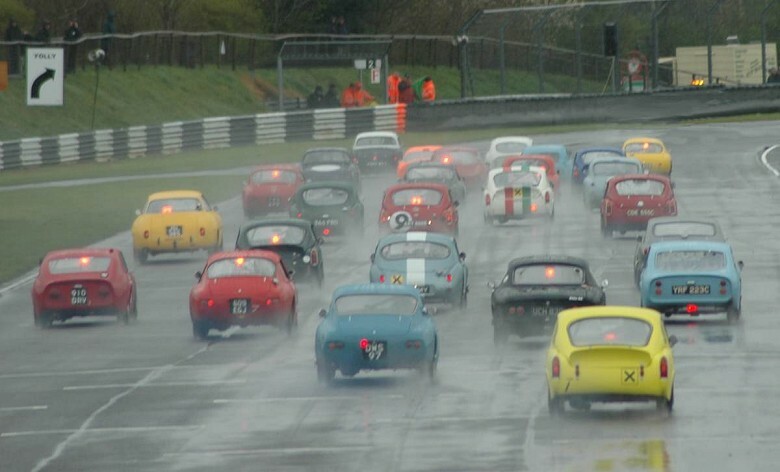 The HRDC race will be held on Saturday 16th June, leaving ample time for HRDC competitors to take in the rest of the Spa Summer Classic programme on Sunday or get back to base on Saturday night and earn some Brownie Points at home! Either way, this will be a positively memorable weekend of historic racing! A transport facility from the U.K to Spa (and return) for HRDC race cars is also offered and the HRDC has reserved two professionally operated transporters for its competitors’ cars at highly discounted rates. 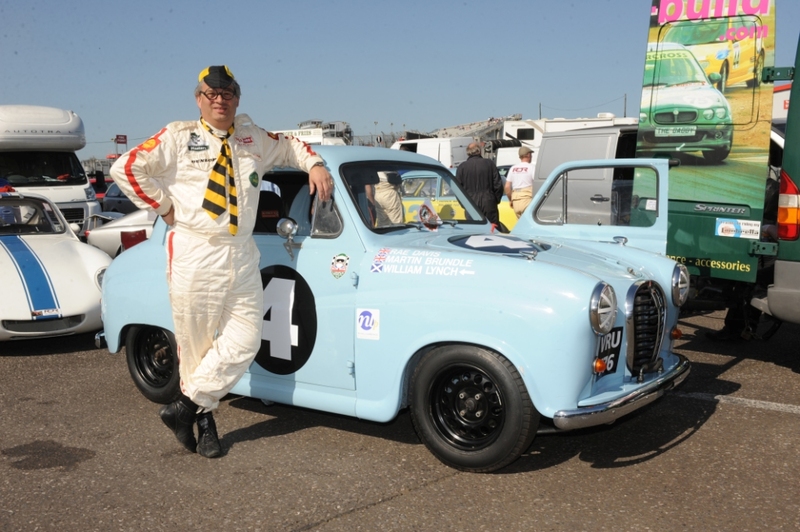 The HRDC provides races for five historic race Series at seven events in 2012. The HRDC ethos is very simple: “Place the Competitor first”. ‘138 DMO’ (Chassis No: GAN3/23948) was the factory prototype wind-up window car (then registered as ‘MG 1’) that was subsequently allocated to the MG Development and Experimental Department for preparation as a factory race car and re-registered as ‘138 DMO’. 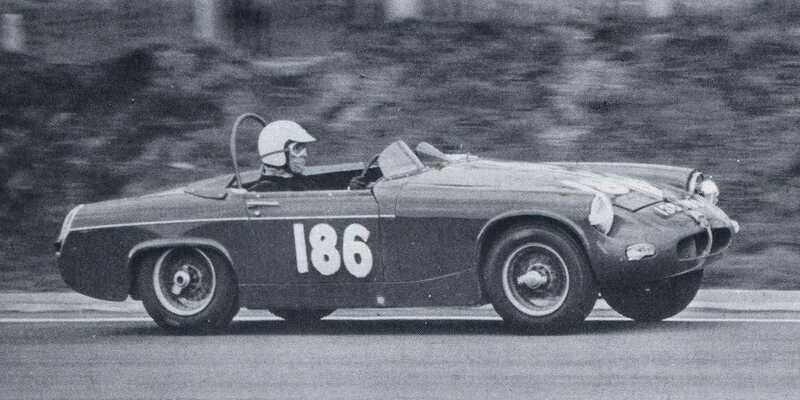 It was the first MG Midget to use the Cooper ‘S’ derived 1275cc A-Series engine. 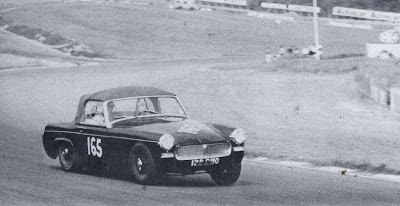 In the ensuing years, Roger Enever - the son of MG Works Competition Department Manager - Syd Enever - drove this car in its many guises with great success. From thereon it had a checkered history, mainly in Modsports, surviving many accidents - but only just. 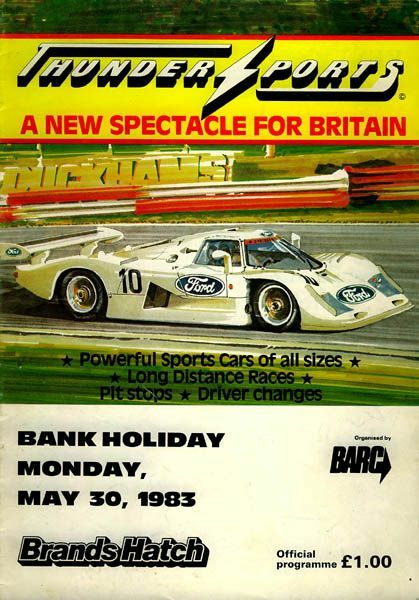 In 1983 it became part of a deal to buy a race prepared MGCGT (subsequently known as the 'Grey Whale') and that's where its present owner - Julius Thurgood - first came across it in a lock-up garage near Crystal Palace. 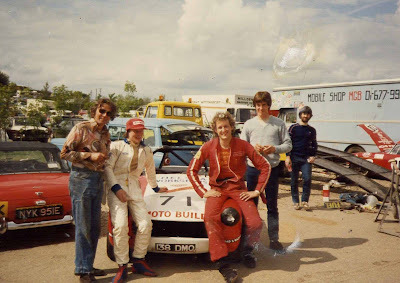 On the 1st February 1983 Julius sold his MGCGT race car 'UYD 96G' to Ian Parkinson, a young would-be racer who had bought the rather worse for wear '138 DMO' Modspors racer with good intentions to race it. However, the project was a step too far and he went for an easier option - namely buying Julius' race-ready MGCGT and divested himself of all the extra work to get on track by part-exchanging his downtrodden racer in the deal. Julius, accompanied by MG racer and marque specialist, Rae Davis, trailered the forlorn MG Midget racer back to Rae's Moto-Build premises in Hounslow to assess just how much of a problem that Julius had let himself in for! The car was a mess of tank tape, broken fibreglass and poorly fitted parts. But Rae coaxed the engine into life and that, at least, meant that the car might again have a future as a racer. But little was done in the ensuing weeks until Rae realised that his new MG Metro racer was not going to be ready for the forthcoming MG support race at the inaugural Thundersports Meeting at Brands Hatch, which was scheduled to be held on 30th May 1983. Rae Davis was never one to miss an opportunity. He needed a car - and a sponsor for the race - and he had a ready-made pairing of the hitherto defunct '138 DMO' racer and its new owner - Julius Thurgood! A quick call to Julius was all that was needed to seal the deal. That was the easy bit - but getting the car ready to race was quite another story. In its now radical Modsports guise, '138 DMO' didn't comply with the current MGOC race regulations. 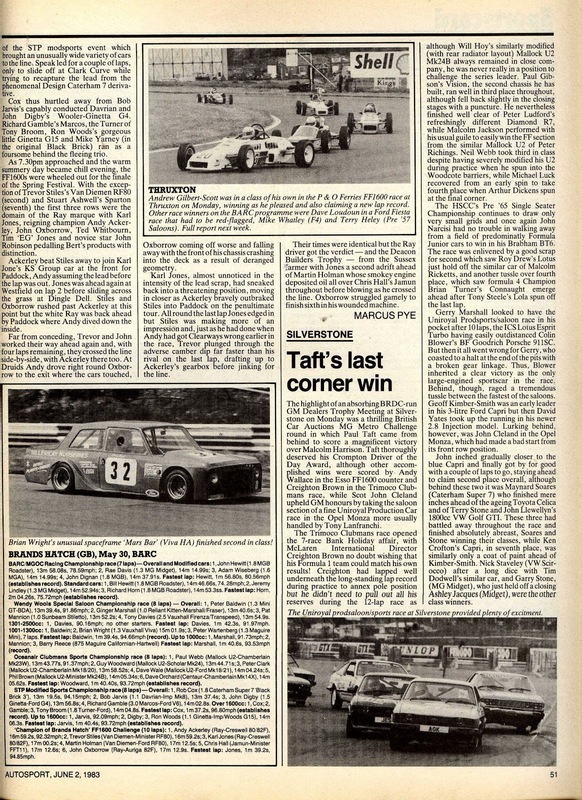 For a start, the engine sat too far back in the chassis and the little car's massive slick-shod wheels and wide wheel arches were far too wide to comply with the Club's championship regulations. Moving the engine back into its original position was easy - as was removing the giant wheel arch extensions, which were frenetically dispatched by Rae with judicious use of a nearby club hammer. The one-piece front end of the car fell off unaided and was replaced by a standard-width, shiny new one-piece fibreglass front end, finished in brilliant white gel-coat. A universal "one size fits all" wheel arch extension kit finished the rough edges off around the butchered rear wheel arches to some semblance of professional presentation. However, the motley selection of banded-rim steel race wheels, sourced from Rae's vast stock of second-hand race parts, were definitely items of secondary quality - as were the 20-year old 'Torino' treaded tyres that came with them. Time was running out and Rae and Julius were now working solo on the night shift to get the car ready. Detail finish went by the wayside as the race day fast closed in. The car was now running and more or less in one piece but it looked like a patchwork quilt. 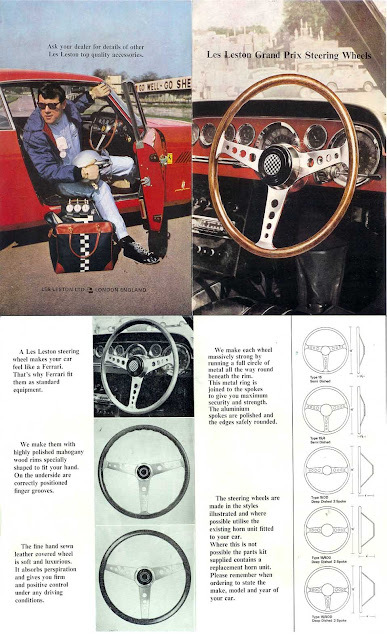 The interior of the car was still in its original black but the car had been oversprayed in tartan red many years before. Now it had a white front and sported bare aluminium rear wheel arches. Rae decided to give the car "a quick tosh over". All went reasonably well until he realised that he had not quite enough red paint to cover the whole car. Julius then suggested that they mask off a central white 'stripe' on the new bonnet and carry it over the back of the car. "It had better be a bloody great wide one!" quipped Rae, looking at his near empty tin of red cellulose. So that's how '138 DMO' gained its new livery - not quite by design - more by necessity! So the Moto-Build racing team and '138 DMO' arrived at Brands Hatch for the first Thundersports meeting. Rae drove the racer down on the Moto-Build truck and Julius warily motored down to the circuit in his daily driver - a 1955 Ford Ranch Wagon (fitted with rare Thunderbird engine option - but very short of brakes!). So far - so good, but whether the 'Old Nail' racer would get through scrutineering was the first of many challenges facing the team that day. There was a great deal of muttering and negotiation in the Scrutineering Bay at Brands Hatch that morning. Extraneous holes in the bulkhead were hastily sealed, the fire extinguisher was swapped for another from another competitor's car and the harness fixings were reinforced. Finally, after much cajoling, it passed. That in itself was a victory! Rae Davis simply rose to the occasion - he flung the ex-Work racer '138 DMO' around the Brands Hatch GP circuit as though it had just come out fresh from Syd Enever's Competition Department - not the oil drum dustbins of Brands Hatch's paddock! Lap after lap he gave little heed to the death rattles of the engine or the screams of misery from the tortured scrap tyres with the cracked side walls. 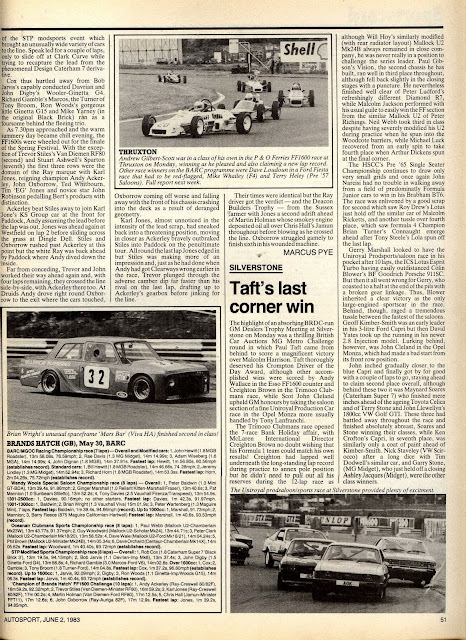 By the time the chequered flag fell, his opposition was well and truly mentally defeated by the audacious driving talent and racecraft of Davis - how on earth did he hold it all together? Well, anyone who has witnessed Rae slaying big-engine Jaguars at the Goodwood Revival meeting in his diminutive Austin A35 will tell you that someone broke the mould after Rae was born - he is truly unique! A delightful one-off! "138 DMO -The Mike Roy Years"
Re-united into present ownership in 1997, ‘138 DMO’ is currently being prepared for historic events - this historic car is now owned by Julius Thurgood. 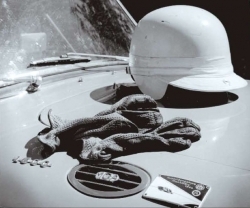 Historic Racer is sad to report the passing of the mercurial racer and race wear entrepreneur, Les Leston. 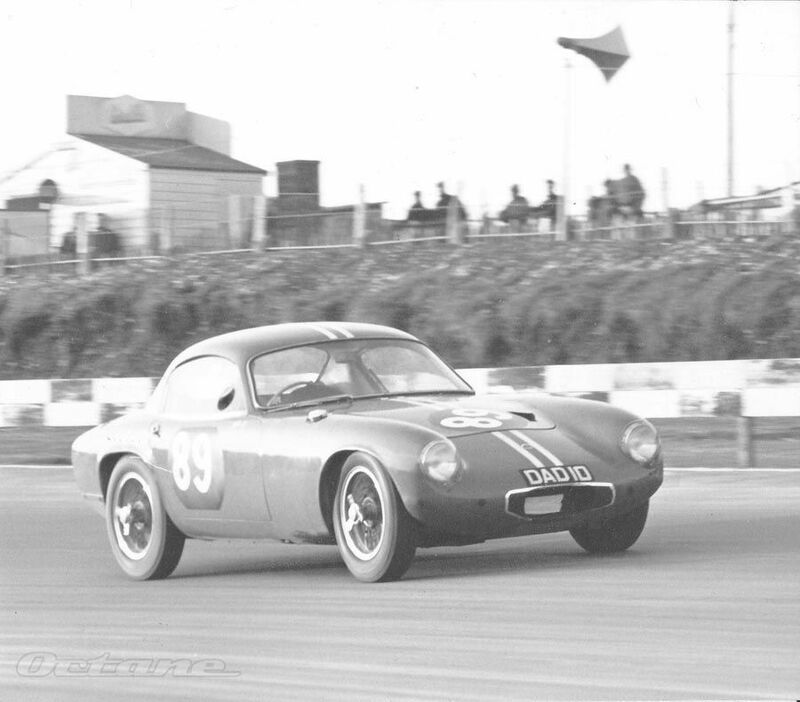 In his early days, Leston was a consistent and enterprising racing driver - he briefly raced a Jaguar SS100 in 1949 before turning his attention to 500s racing in a Cooper Mk.V. For 1952, Les sometimes used the Leston Special, a J.B.S which was modified by Ray Martin to adapt the rear suspension to swing axle and rubber bands which Les ran with distinctive white wall tyres. 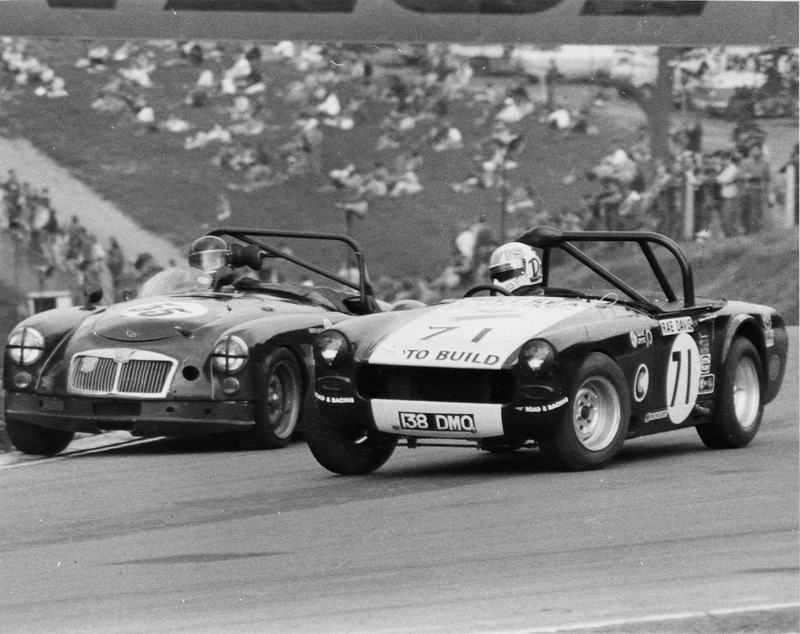 Confusingly, his Cooper was also sometimes entered as the Leston Special. Leston had a number of wins during 1952 including Castle Combe in May, Brands in June, Prescott in July, Silverstone in September and Prescott in the same month, Brough and Silverstone in October to finish second to Don Parker in the National Formula 3 Championship and take the Seaman Trophy. He also won the Grand Prix at Luxembourg in May beating rising stars such as Collins, Coombs, Parker and a certain Stirling Moss. 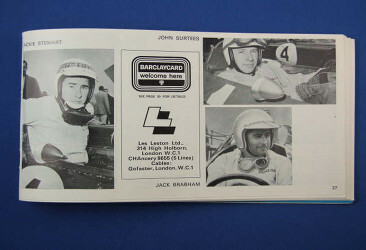 He become a Cooper works driver in 1954 and took the national Formula 3 championship in that year. Leston also participated in three Formula One World Championship rounds. 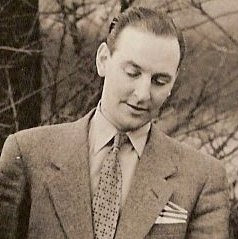 Leston made his World Championship Formula One debut aboard a factory Connaught-Alta in the1956 Italian Grand Prix at Monza only to retire. 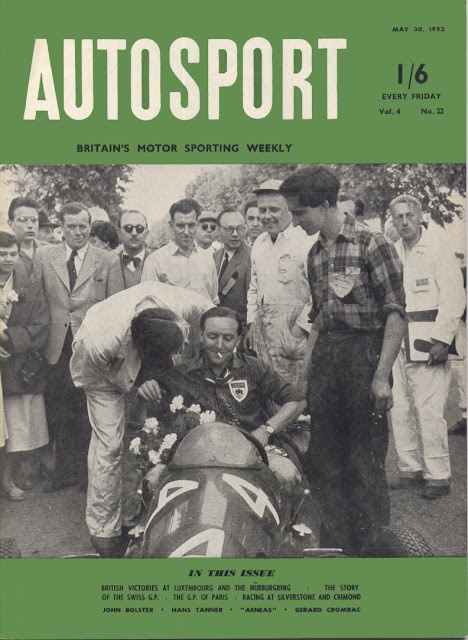 Leston would make his second and final World Championship start aboard a BRM P25 in the ’57 British Grand Prix, the same year that he and Roy Salvadori drove their works Aston Martin DBR1 to sixth place in the Le Mans 24 Hours. Leston was fortunate to survive a huge accident aboard John Fisher’s Lotus 12 during the non-points ’58 Caen Grand Prix in Normandy. He subsequently throttled back on his frontline career to concentrate on his business interests. Nonetheless, he participated in several major rallies and was a regular in the embryonic British Saloon Car Championship in a Riley 1.5 and a Volvo Amazon. 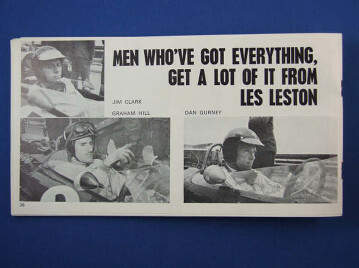 Yet it was for his efforts aboard his Lotus Elite that Leston is perhaps best remembered. Bearing the fictional registration number DAD10, which was a nod to Leston’s days spent as a drummer in a war-time jazz band, the car was a regular winner during the 1961-62 seasons. 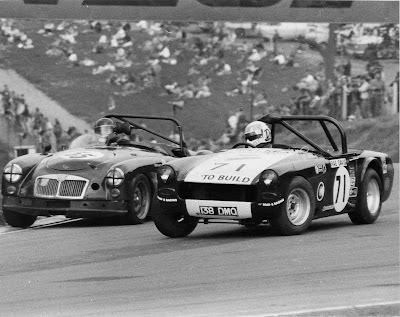 The diminutive Lotus ultimately bore a new nose re-profiled by Frank Costin, Leston’s battles with the similar car of Graham Warner entering into legend. During his final year of professional motorsport, Leston had established 'Les Leston Ltd' in High Holborn, London, the firm initially selling car accessories and polishes. However, in time it would become internationally renowned for its fireproof overalls, helmets and steering wheels. 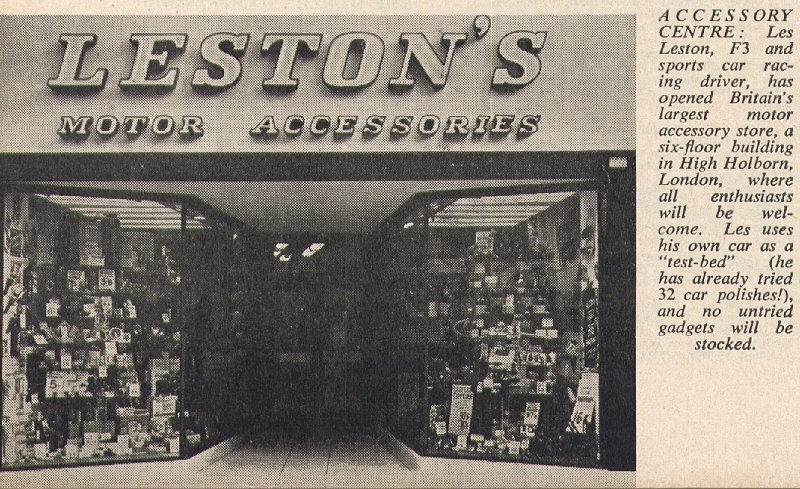 Trading under the eponymous 'Les Leston' brand his product range is probably best remembered for items such as his beautiful aftermarket steering wheels, most of which were manufactured by 'Walsall Wheels' but - most notably - he was also instrumental in the adoption and development of many of the safety improvements first seen during the 60's including the introduction of what is now the mandatory use of fireproof suits & crash helmets in all forms of motorsport. 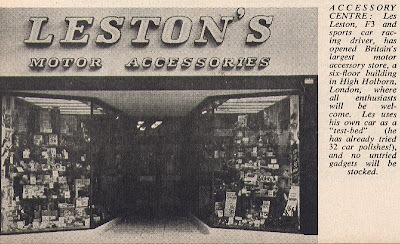 Of all the accessory companies it was Les Leston who was probably the most successful in spanning the two very similar but also very different worlds of Motorsport & Motor accessories. 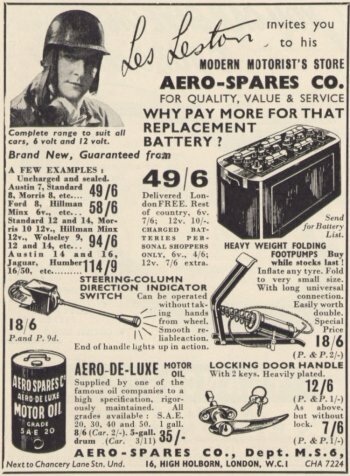 Leston's almost irreverent mode of advertising set his 'brand' head and shoulders above his competitors and it was easy to see how this gregarious - and often mischievous - ex-racer managed to find endorsements for his products from the top motorsport luminaries of the day.Of all the accessory companies that thrived in the 50's, 60's & 70's, 'Les Leston' remains the best known and original 'LL' equipment commands premium prices from knowledgeable collectors in today's marketplace. Sadly, it is a fact of life that we are losing more and more of these great characters as Anno Domini takes its toll - and I fear that our sport will be a little less true to itself as these remaining links with the eras that we so admire take the chequered flag for the final time. 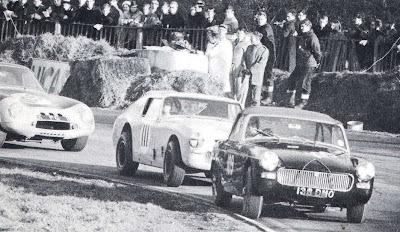 With the recent passing of Alan Mann, Caroll Shelby and now Les Leston - who will have the final say over what really happened out there in 'their' races? 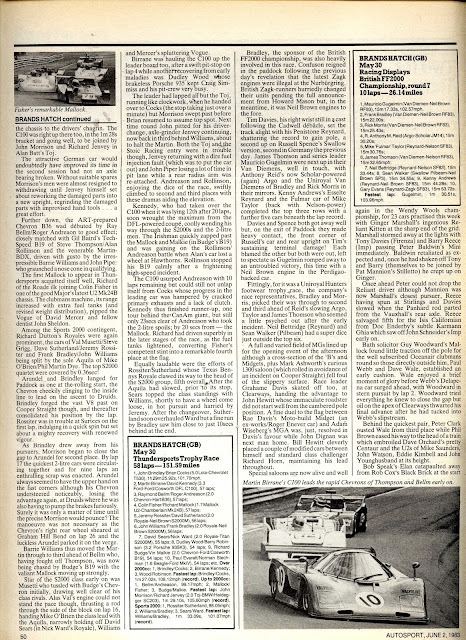 The writing of motorsport history has never been an exact science - it has more been the case of what one chooses to believe - and without these custodians of true knowledge, it seems inevitable that much will fall into the hands of subjective conjecture and the direct and dynamic link with the past will pass away with these heroes of our sport.